Abdelghaffar, H. and Moustafa, H. (2013). Exploring the Factors Affecting the Intention to Use C2C Auction Websites in Egypt. International Journal of E-adoption, Vol. 5, No. 2, pp 1-13. Abdelghaffar, H. and Sameer, L. (2013). The Roadmap to E-democracy in Arab Spring Countries via Social Networks. Proceedings of the 9th European Conference in E-government (ECEG13), Italy. Abdelghaffar, H. Elfar, N. (2013). Evaluating the Influence of e-SCM on Business Integrity in SMEs Journal of Enterprise Information Systems (IJEIS), (forthcoming). Al-Serafi, A. and Elragal, A. (2013), “Trajectory Data Mining: a Novel Distance Measure”, in proceedings of the GEO Processing Conference, February 24 - March 1, 2013, Nice-France, pp.125-132.Haddara, M. and Elragal, A. (2013), “ERP adoption cost factors identification and classification: a study in SMEs”, International Journal of Information Systems and Project Management (IJISPM), Vol. 1, No. 2, pp.5-21. Haddara, M. and Elragal, A. (2013), “ERP lifecycle: a retirement case study”, Information Resources Management Journal (IRMJ), 26(1), pp.1-11. Elragal, A. and El-Gendy, N. (2013), “Trajectory Data Mining: Integrating Semantics”, Journal of Enterprise Information Management (JEIM) 26 (5), 1-18. Elragal, A., Elgendy, N. (2013), Trajectory Data Mining: Integrating Semantics. In: Journal of Enterprise Information Management (JEIM), Vol. 26, No. 5, pp. 516-535. Klischewski, R., Lessa, L. (2013). Sustainability of E-Government Success: an Integrated Research Agenda. In: Gil-Garcia, J.R.: E-Government Success Factors and Measures: Theories, Concepts, and Methodologies. IGI Global, 104-123. Mekawie, S. and Elragal, A. (2013), “ERP and SCM Integration: The Impact on Measuring Business Performance”, International Journal of Enterprise Information Systems (IJEIS), 9(2), 106-124, April-June 2013. Noureldin, H., Fares, M., Elgendy, N., El-Telbany, O. (2013). Main Telecom: Technology Serving Humanity. In: Laudon, K.C., Laudon, J.P., Elragal, A.A., Management Information Systems: Managing the Digital Firm (Arab World Edition). Pearson Education. Abdelghaffar, H. (2012). Success Factors for ERP Implementation in Large Organizations: The Case of Egypt. Electronic Journal of Information Systems in Developing Countries, Vol. 52, No. 4, pp 1-13. Abdelghaffar, H. & Magdy, Y. The adoption of Mobile Government Services in Developing Countries: The Case of Egypt. International Journal of Information and Communication Technology Research, 2(4), pp.333-341. Abdelghaffar, H. and Galal, L. (2012). Assessing Citizens’ Acceptance of Mobile Voting System in Developing Countries: The Case of Egypt. International Journal of E-adoption, Vol. 4, No. 2, pp 15-27. Hosny, M.Y. An Assessment Model for Citizen Relationship Management: The Case of the Egyptian Complaint Portal. In: Proceedings of the European, Mediterranean, and Middle Eastern Conference 2012, Munich, Germany, pp. 288-302. Elragal, A. and El-Kommos, M. (2012), “In-House versus In-Cloud ERP Systems: A Comparative Study”, Journal of Enterprise Resource Planning Studies, vol. (2012), DOI: 10.5171/2012.659957, pp. 1-13. Elragal, A. (2012), “Business Intelligence in Support of Government Decisions”, in Proceedings of Alexandria International Conference For Statistics and Insurance (AICSI), Alexandria, Egypt, September 1-2. Elragal, A. and Eltelbany, O. (2012), “Decision 2.0: an exploratory study”, in proceedings of the 45th Hawaii International Conference on Systems Science (HICSS 44), Maui, Hawaii, USA, pp.432-443. Elragal, A., Elgendy, N. (2012), Trajectory Data Mining and the Need for Semantics. 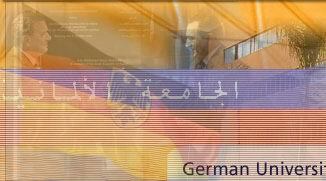 In: European, Mediterranean & Middle Eastern Conference on Information Systems (EMCIS) June 6-7, Munich, Germany. Elragal, A., & El-Telbany, O. (2012, January). Decision 2.0: An Exploratory Case Study. In System Science (HICSS), 2012 45th Hawaii International Conference on (pp. 432-443). IEEE. Rizk, A. and Elragal, A. (2012), “Trajectory Data Analysis in Support of Understanding Movement Patterns: A Data Mining Approach”, In proceedings of the Proceedings of the Eighteenth Americas Conference on Information Systems (AMCIS), Seattle, Washington, August 9-12. Haddara, M. and Elragal, A., "ERP lifecycle: When to retire your ERP system? ", In proceedings of CENTERIS’2011; the conference on ENTERprise Information Systems – aligning technology, organizations and people, 5-7 Oct, Vilamoura- Algarve - Portugal. Elragal, A. and Al-Serafi, A. (2011), “The Effect of ERP System Implementation on Business Performance: an Exploratory Case-Study”, Communications of the IBIMA, Volume 2011, 670212, pp. 1-19, DOI: 0.5171/2011.670212. Elragal, A. A., & Abouseif, H. G. (2011). Classification of Enterprise Portals: A Data Mining Approach. Communications of the IBIMA, Volume 2011, 887612, pp. 1-9, DOI: 10.5171/2011.887612. Abdelghaffar, H., Kamel,S. and Duquenoy, P. (2010). Studying eGovernment Trust in Developing Nations Case of University and Colleges Admissions and Services in Egypt. International Information Management Association Conference, Utrecht, The Netherlands. Elragal, A., Hyperone: solutions to achieve business objectives / Elalamein for printing and packaging goes digital / ALBASSAMI’s job is not feasible without I.T. / Improving business intelligence through spend visibility / Al-Mansour Automotive: IT-enabled success / Structured project implementation methodology at Focus In Laudon, K. and Laudon, J. 2010, Management Information Systems: Managing the digital firm, 11th ed., Pearson, New Jersey, pp.71f. / 83f. / 463f. / 502f. / 507f. / 567f. Elragal, A. and Haddara, M., The Use of Experts Panels in ERP Cost Estimation Research, CENTERIS 2010 - Conference on ENTERprise Information Systems aligning technology, organizations and people, 20-22 Oct, Viana de Castelo-Portugal. Badawy, S., Elragal, A. and Gabr, M., MSCM: an outlier detection technique for data mining applications, IASTED Artificial Intelligence and Applications 2008, Innsbruck, 11-13 February. Klischewski, R., Ukena, S., An Activity-based Approach Towards Development and Use of E-government Service Ontologies. Proceedings HICSS-41, IEEE, 2008. Abdel Aziz, R., Beeson, I, and El-Ragal, A., An Empirical survey to measure the ATM Usage in Egypt: Social and Technical Perspectives, International Business Information Management Conference (8th IBIMA) 2007 [ISBN: 0-9753393-7-0], Dublin, 20-22 June. Klischewski, R., Ukena, S. Designing Semantic e-Government Services Driven by User Requirements. In: Grönlund, A., Scholl, J., Wimmer, M. (eds. ): Electronic Government. Proceedings EGOV 2007.Trauner, Linz, 2007 pp. 133-140. Klischewski, R. Migrating Small Governments’ Websites to the Semantic Web. Proceedings AAAI Spring Symposium “Semantic Web Meets eGovernment” (Stanford University, March 27-29, 2006), Technical Report SS-06-06, AAAI Press, Menlo Park, CA, 2006, pp.56-63. Asaad, Y., Haddara, M. and El-Ragal, A. LinventiX - Technology Transfer and Information and Communications Technology the Open Source Way, ICCTA IEEE 2005, Alexandria, 6-8 September. Kamal, S. and El-Ragal, Using Cluster Analysis in classification of Categories: Evidence form the Holly Qu’an, IBIMA 2005, Cairo, 13-15 December. Salem, R., and El-Ragal, A. Multimedia Production Process Automation, ICCTA IEEE 2005, Alexandria, 6-8 September. El-Ragal, A. and Mourady, A. Arabic SME: E-Business Management and Development Perspective in the Mediterranean Countries, CIMRE 2004, Hammamat, Tunisia, October 2004. El-Ragal, A., and Eltemsahi, A. Measuring University Performance by Examining the Impact of Entry Standards on the Exit Scores of Graduated Students, Journal of the Arab Academy for Science, Technology, and Maritime Transport, published in January 2004 volume. Lotayif, M and El-Ragal, A. Investigating and Modeling GATS Impacts on the Developing Countries: Evidence from the Egyptian Banking Sector, The Journal of American Academy of Business, Cambridge. Published in Vol. 4, Num. 1, March 2004. El-Ragal, A., and Lotayef, M. A Factor Analytic Study of the Computer Anxiety Rating Scale, ICCTA 2003, Alexandria, 26-28 August. El-Ragal, A., El-Zoghabi, A, Salam, M, and Poole, F. Inter-Univesities Data Warehouse Architecture, ICEB 2003, Singapore, December 2003. El-Ragal, A. Decision Tree Induction: A machine Learning Approach, ICCTA 2002, Alexandria, 27-29 August. El-Ragal, A., and Mangles, T. SRDSS – A Measurement Instrument For Student Recruitment Decision Support Systems, SAIS 2002, Savannah-GA- USA, March 2-3. El-Ragal, A., and Thabet, Y. Query Optimization for OLAP Applications, ICEB 2002 [ISBN: 1683-0040], Taiwan, 10-13 December 2002, pp. 337-339. Lotayef, M., and El-Ragal, A. The impact of GATS on the developing Countries: Evidence from the Egyptian Banking Sector, APEE 2002, Cancun-Mexico, June 2002. El-Ragal, A. and Mangles, T. Developing Star Schema Structures: A Practical Study, SAIS 2001, Savannah-GA- USA, 2-3 March, pp.116-136. El-Ragal, A., Mangles, T., and Chaston, I. Developing Star Schema Structures: A Practical Study applied to the Egyptian Universities, BIT World 2001, AUC-Cairo- Egypt, 4-6 June, p.128. Mangles, T., and El-Ragal, A. Developing a new Decision Support System for University Student Recruitment, The ICEB 2001, Hong Kong, 19-21 December 2001, pp.224-243. El-Ragal, A. and Mangles, T. Knowledge Discovery in Database Techniques Applied to Students Recruitment Systems in Universities, IAIM 2000, Brisbane- Australia, 8-10 December, pp.7-20.